Let's fully catch up on all things state visit that happened in Luxembourg over the past two days, shall we? We shall. The Romanian delegation surrounding President Klaus Iohannis, his wife Carmen and the Secretary of State for Foreign Affairs Cristian Badescu arrived in the Grand Duchy yesterday morning. 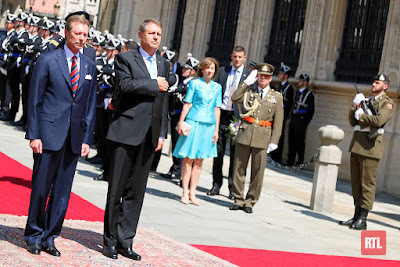 They were officially welcomed by Grand Duke Henri in front of the palais. This was followed by military honours, national anthems, a review of troops and a presentation of the respective delegations. 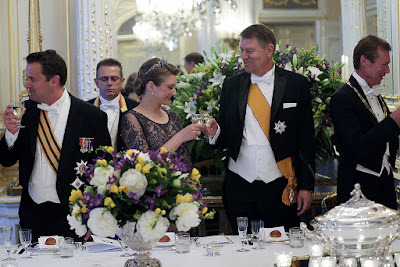 Grand Duchess Maria Teresa pulled out of the state visit at the last minute for family reasons. 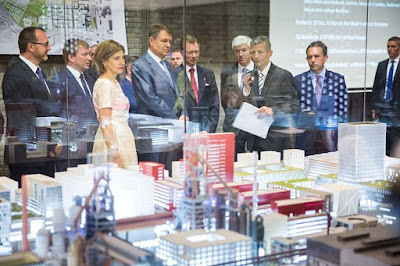 The second day of the state visit started with a visit to Esch-Belval by Grand Duke Henri and his Romanian guests. Belval is a former brownfield turned scientific and cultural center, hosting the scientific academy of the Université de Luxembourg as well as Rockhal, the Grand Duchy's largest music venue. At Belval, they got a presentation on urban planning and the urban design concept of a blast furnaces terrace. In addition, they were received by the Rector of the University of Luxembourg, Professor Rainer Klump. President Iohannis and his wife also got the chance to meet Romanians studying and teaching in Luxembourg. The visit to Belval was followed by a luncheon at the Musée d'art moderne Grand-Duc Jean (MUDAM) hosted by the government sans any grand ducal guests and a visit to the National Museum of History and Arts (MNHA) (or possibly vice versa). This was followed by a number of meetings with politicians. 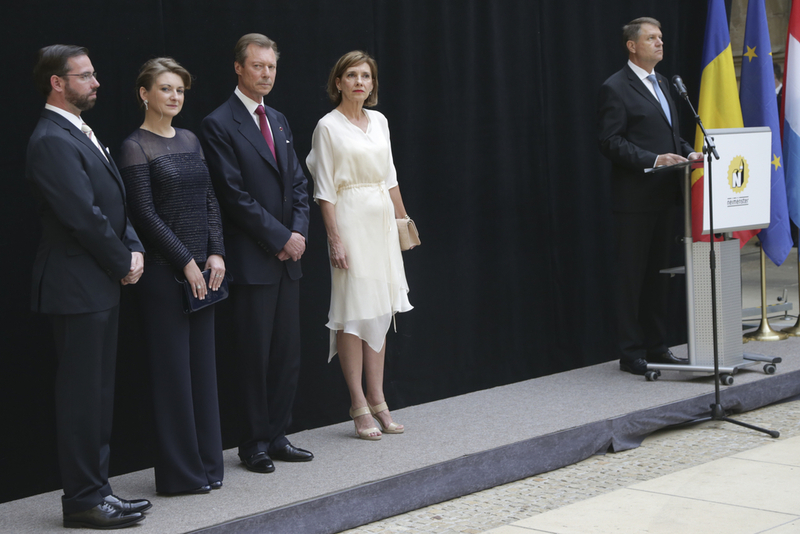 The second day was rounded off by a reception hosted by the Romanian president and his wife Carmen in honour of his Luxembourgish hosts at the Lucien Wercollier cloister and the garden of Neumünster Abbey. The state visit concluded with a farewell ceremony in front of the palais at 7.30pm. Loads of photos of both days and a video at RTL. More at Wort and Tageblatt.